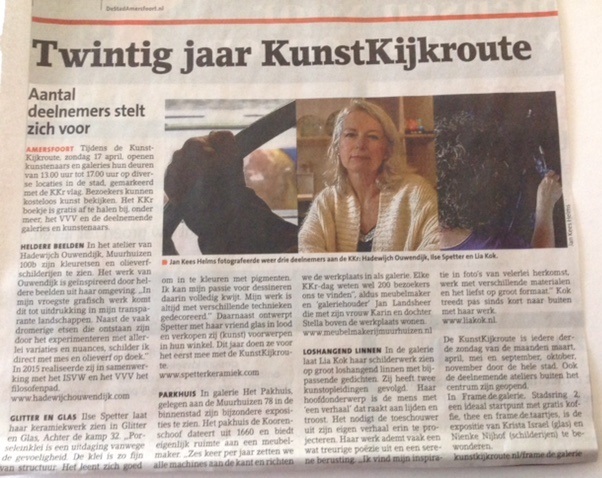 Our international exposition caught the attention of the regional newspaper. 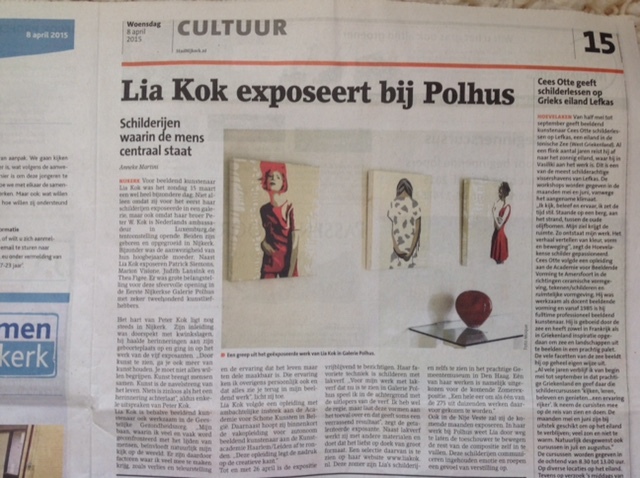 About my work it said: ‘Impressive and mysterious is a large work of Lia Kok in the hallway of the exhibition space…These works are worth a visit and those of Kok are intriguing and sometimes even very beautiful. Presented in a differently structured context they would present themselves even more meaningful. 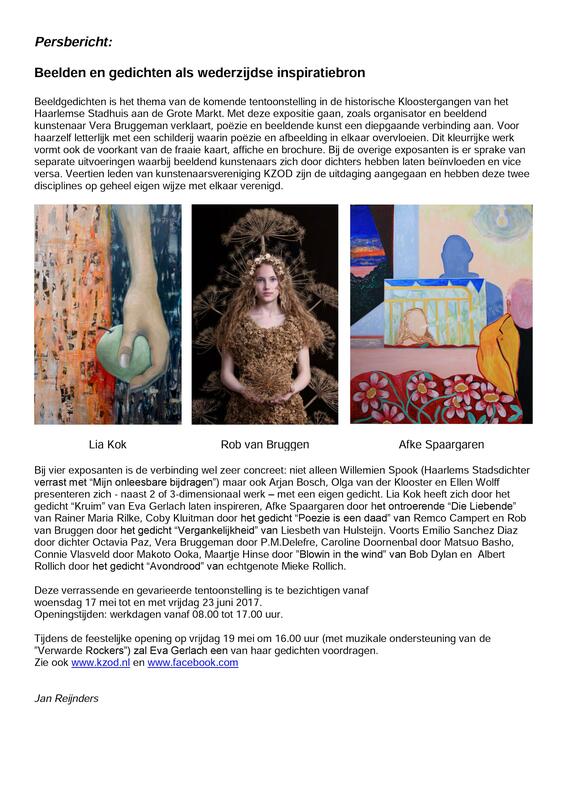 Press release on the exposition in the townhall in Haarlem. 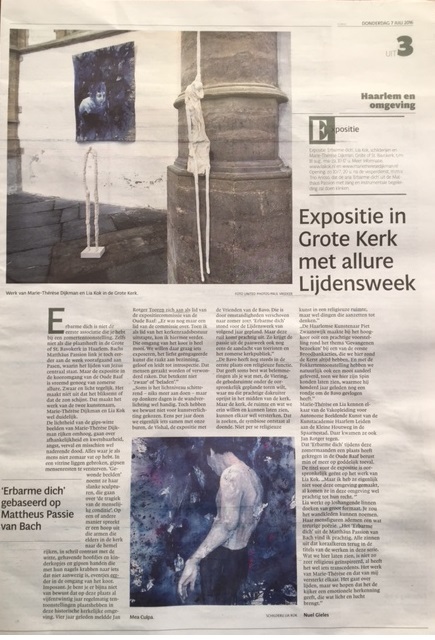 My work (photo left) inspired by a poem of the famous Dutch poet Eva Gerlach, got a prominent place in the publications around this exhibition. 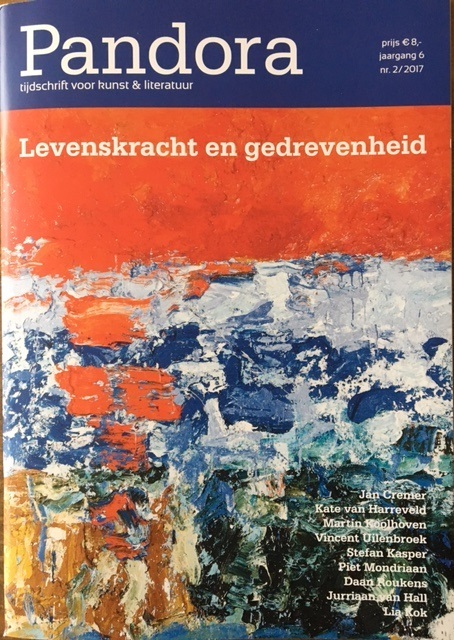 In the Dutch Pandora art magazine, my series of work titled ‘Erbarme dich’ and the text that I wrote on what inspired me when making this series, was published. I was proud and honored to be featured in this magazine. 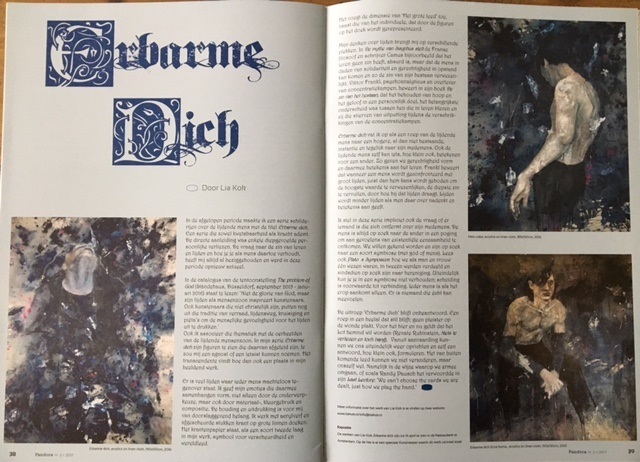 My series titled ‘Erbarme dich’ and the text that I wrote on what inspired me in making this series, was published in Pandora Altmagazine. I was proud and honored to be featured in this magazine. 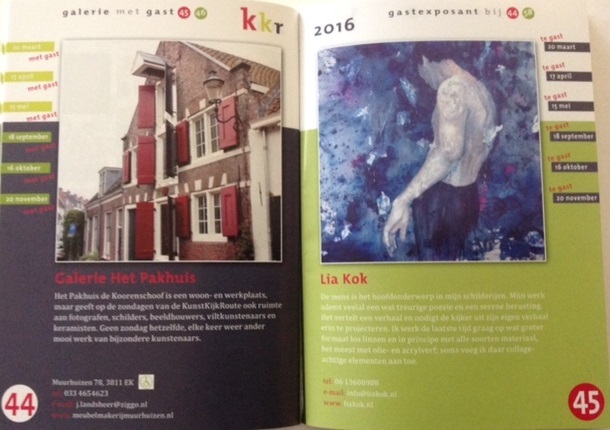 In the catalogue of our local art route, Kunstkijkroute 2016, each participating artist gets his/hers own page for promotion purposes. Here’s mine. 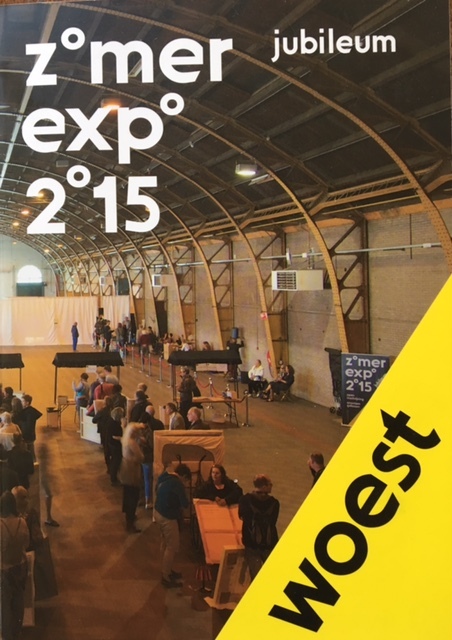 My work ‘poppenspel’ (puppetplay) was chosen as one of 250, out of 5000 submissions total, to be exhibited in the prestigious ‘Gemeentemuseum’ in The Hague for the Zomerexpo 2015, with the overall theme ‘furious’. 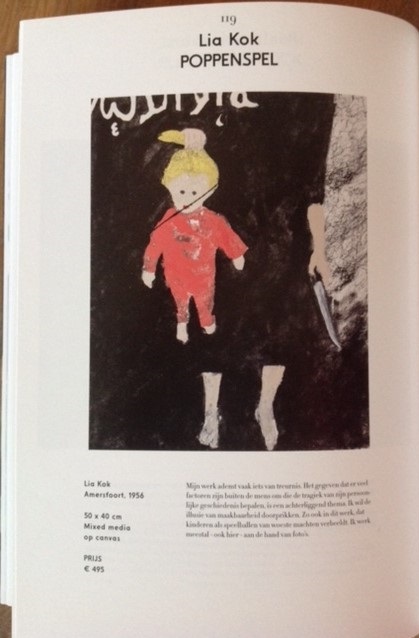 My work ‘poppenspel’ (puppet play), mixed media on canvas, 50x40cm, was chosen as one of 250 out of 5000 submissions, to be exhibited in the prestigious Gemeentemuseum in The Hague, for the Summerexposition 2015, the wellknown Dutch Zomerexpo, and found in the catalogue that was published for that occasion. The overall theme of the exhibition was ‘furious’.